Graduating students may now claim their 8 complimentary tickets through a link that has been provided to them via email. A limited number of tickets are now available to purchase for $15 each. Our FAQ page has answers to your top questions! Be sure to visit this page for more information. Place an order today, and benefit from promotional pricing. Orders will be available for pick up at the flower booths on campus during commencement day. Thursday, May 9 at 7 p.m.
Friday, May 10, 2019 at 7 p.m.
Can't Make it to Biola? Ceremony A at 7 p.m.
Ceremony B at 7 p.m.
For those attending in-person, closed captions are available from your device. 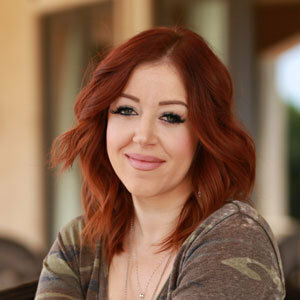 Ceremony A — Friday, May 10 at 7 p.m.
Ceremony B — Saturday, May 11 at 7 p.m.
Lynsi Snyder-Ellingson was born in 1982 in Southern California. From the day she was born, In-N-Out Burger has been a significant part of Lynsi’s life. Her grandparents, Harry and Esther Snyder, founded In-N-Out Burger in 1948 and, to this day, the business remains private and family owned and operated. In-N-Out Burger has always been a family business and Lynsi intends to keep it that way. Lynsi began working as an associate at In-N-Out Burger in 1999. She is currently the Owner and President of the company and continues to be closely involved with every aspect of business operations and culture. Lynsi is deeply committed to maintaining and enhancing the well-being of the entire In-N-Out family which now numbers over 27,000. Additionally, Lynsi is involved in and directs all of In-N-Out’s philanthropic efforts through the In-N-Out Burger Foundation and the Slave 2 Nothing Foundation. Along with her husband Sean, Lynsi is also the founder and visionary for the Army of Love, a nonprofit organization that exists for the purpose of uniting the body of Christ through training tools that will set them free to, in turn, set others free. Army of Love strives to exemplify Isaiah 61:1 – “The Spirit of the Lord God is upon me, because the Lord has anointed me to preach good tidings unto the meek; He has sent me to bind up the brokenhearted, to proclaim freedom for the captives and the opening of the prison to them that are bound.” In addition to God being on the throne of her heart, Lynsi is a devoted wife and proud mother of four beautiful children. Lawrence Tong is Operation Mobilization’s International Director based in Singapore. A visionary leader, he is committed to fostering innovation in world missions. Lawrence is also a compelling storyteller who inspires many people to pray, give and go. Lawrence Tong was appointed the International Director of Operation Mobilization (OM) in 2013. Lawrence’s spiritual journey began with a commitment to Jesus Christ at an evangelistic meeting in 1973. He visited the OM ship, Logos, in Singapore in 1974 and subsequently joined the ministry team on OM’s second ship, Doulos, in 1978. Lawrence graduated from Biola University with a degree in communications, where he also served as Summer Missions Director of the Student Missionary Union. Lawrence also holds a master’s degree in business administration from the University of La Verne. Lawrence’s leadership journey has included serving on the Board of OM Singapore, as OM country leader for Taiwan, as Director of OM’s third ship, Logos II as well as in financial development with the OM Ships office in Florence, South Carolina. Lawrence is also recognized to have led the fast-growing work of OM in China with a significant focus on welfare and agricultural programs which have won them recognition from the Chinese government. Lawrence is married to Susan, from the United States, and they have two grown sons, Joshua and Benjamin.